My wife and I was looking for a SUV for our daughter and came across Libertyville Chevrolet. Our salesman Drew Sims made our experience fantastic. Since we were more than 200 miles away, everything was done via phone and email which made the entire process painless. Drew even provided shipping options to us. We did not have to make the 200 mile drive to pick up the vehicle he had a delivery.I strongly recommend Libertyville Chevrolet and especially Drew Sims if you I'm looking for a good Fair upfront pricing and fantastic service. This is the best car lot I’ve ever been to. When I say they will make a way for you they will make a way. Drew & Thomas made sure I went home with a car & happy most of all even the gentlemen at the first desk nice with the service and gave me hope just as well. Just by me being there I felt comfortable and not beat out my money and most of all I even was hearing one of the sales representatives calling customers wishing them happy birthday! 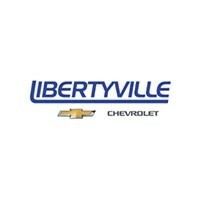 Everyone at Libertyville Chevrolet was so helpful, patient and answered all my questions. The test drive went so well, I was really impressed & well worth the drive! Libertyville Chevrolet is an awesome place to buy a Car and lease a car they have a wide variety of new and used cars the salesmen are very professional and very friendly stop in and see the guys for your next new purchase or lease Awesome prices and willing to deal. We will return. Thank you Abe, Anthony & Adam.